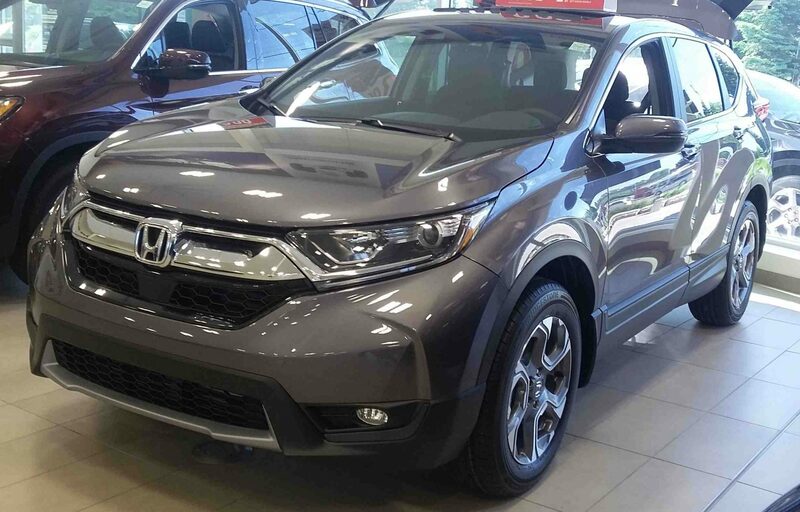 If you have been thinking about the CR-V, then you will want to explore this 2017 CR-V EX that we have on display! It is shown in the “Modern Steel Metallic” paint colour, and features a black fabric interior. It is powered by a 1.5L, 16-valve, Direct Injection, DOHC, turbocharged, 4-cylinder engine with Continuously Variable Transmission (CVT). This engine and transmission pairing has an average fuel economy of 8.7/7.2/8.0 L/100km (city/highway/combination). The 2017 CR-V EX has an available towing capacity of 680kg. 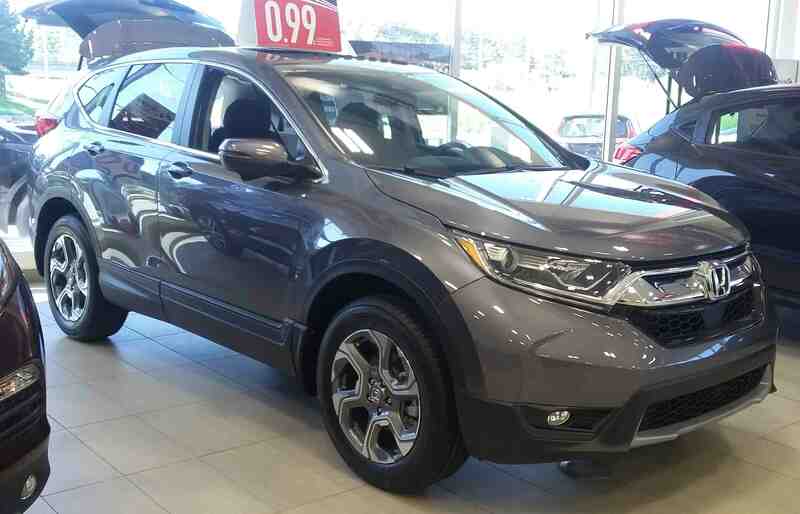 Around the exterior, you will notice the CR-V’s 18 inch aluminum-alloy wheels, front and rear splash guards, and rear privacy-tinted glass. The CR-V is also outfitted with a power moonroof, heated front seats, and a second row of Magic Seats. The 2017 CR-V EX has a great selection of technology, that everyone can enjoy. 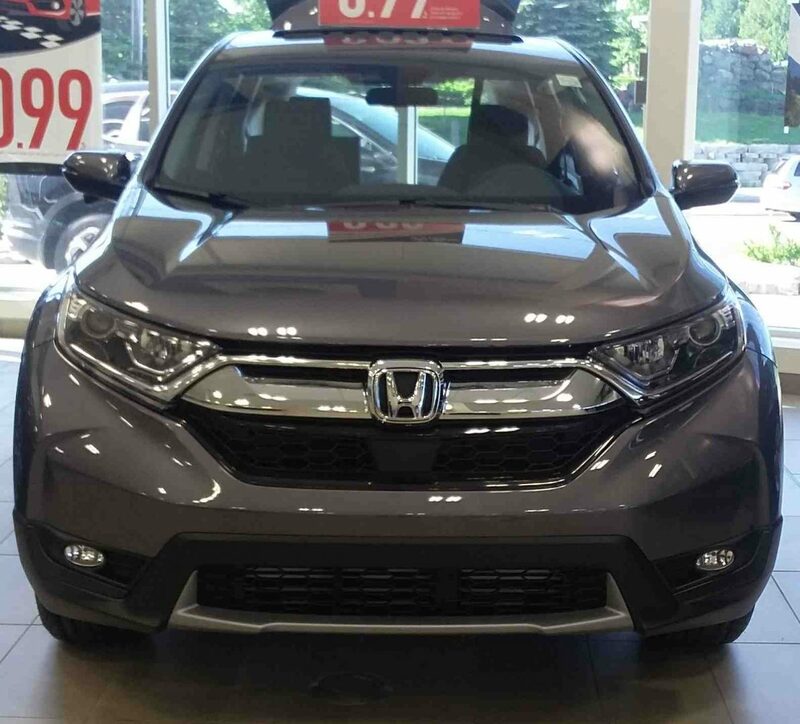 It comes with the Honda Sensing collection of safety technology, which includes the Collision Mitigation Braking System, Forward Collision Warning, Lane Departure Warning, and more! It also includes proximity key entry, pushbutton start, a remote engine starter, LaneWatch blindspot display, and a multi-angle rearview camera. For entertainment, it is compatible with Hondalink, Bluetooth Streaming Audio, Apple CarPlay, and Android Auto. If you would like to see more pictures of the 2017 CR-V, click here!